The Birdland King Penguins hit the national headlines today – with picture stories appearing in the Daily Mail, Express and Telegraph. England’s only colony of king penguins enjoyed a welcome break from the hot weather this week. 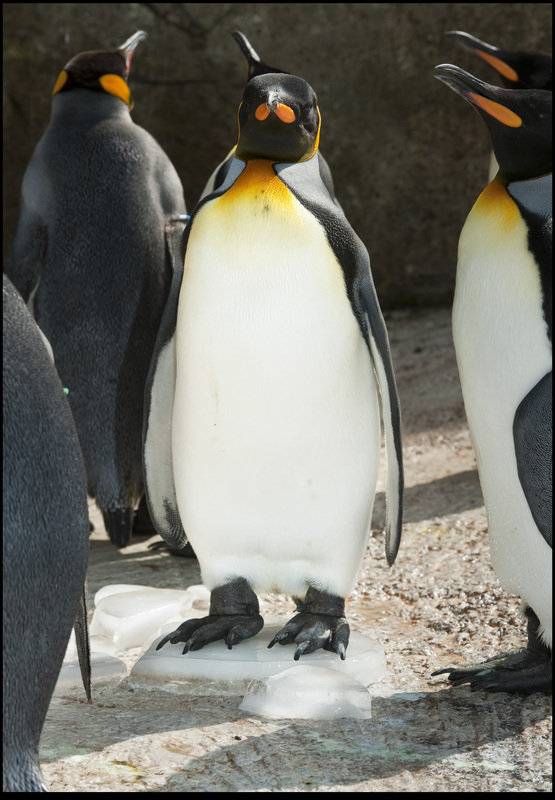 The penguins, at Birdland Park and Gardens in Bourton-on-the-Water, were able to cool off under their very own miniature shower and keepers provided them with a chilly reminder of their sub-Antarctic homeland in the shape of blocks of ice. Although they didn’t last long, as temperatures raced towards 30 degrees centigrade, the miniature icebergs proved particularly popular with the flightless birds.